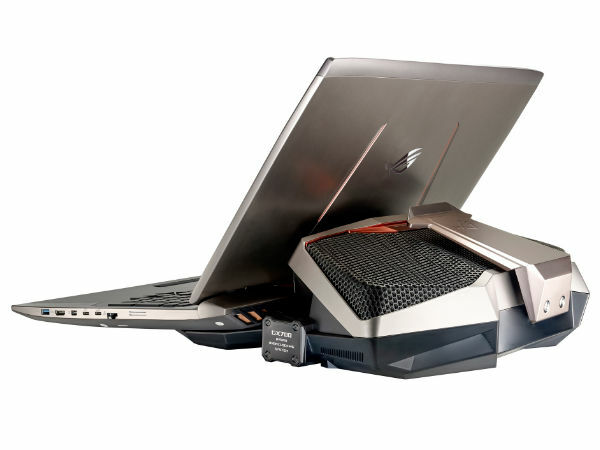 Asus Launched Its First Gaming ROG GX700 Liquid Cooling Laptop in India :- Asus for the very first time has launched world’s first liquid cooled laptop in India. 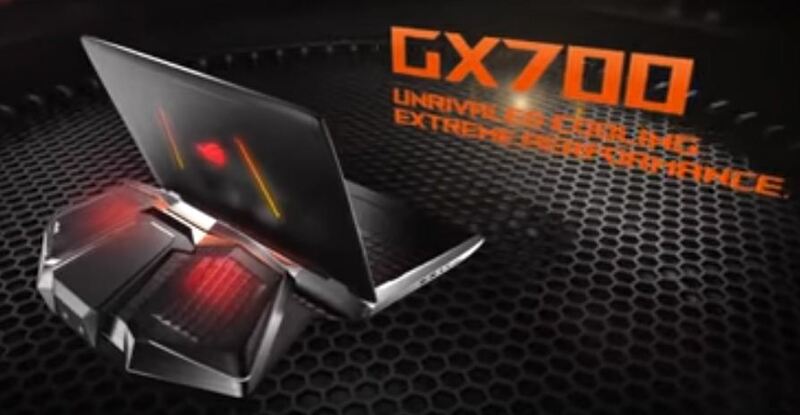 We are talking about all new Asus ROG GX700 which is the latest addition in the flagship of Republic of Gamers or ROG. This is going to be a premium laptop and is priced at the tag of INR 4,12,990. Company has provided limited stock of this product and us one wished to buy this laptop one has to request on the Indian website of Asus. How the liquid cooling technology works? Basically this laptop is designed keeping in mind the requirement of heavy gamers and it comes up with over-clocking potential that let one go hand to hand with the extreme gaming desktops. With detachable liquid cooling dock attached, laptop can be used for extreme over clocking so that one can have experience similar to that of desktop like level. Company touts that it can easily out-perform the other gaming laptops already available in the market. This cooling module pump in a coolant into GX700 where this coolant is circulated around the heat generating components and once the work is done this coolant goes back to its place and two radiators helps GX700 in dissipating the heat. There is a patented ROG connection that ensures that coolant doesn’t leak while moving from one body to other. It claims to deliver 20% more performance and stability when GeForce GTX980 GPU is over clocked. Radiators are powerful enough to dissipate over 500W of heat. The liquid cooling dock brags self sealing valt design that also comes up with a highly reliable pump that dissipate the coolant around the heat generating components as we have already mentioned above. It sports 17” 4K UHD and is powered by 6th Generation Intel Mobile K-SKU processor. It also incorporates NVIDIA GeForce GTX980 GPU to have augmented graphical experience while gaming. It also boards whopping 16GB of DDR4 RAM that can be further extended up to 64GB. It is also equipped with NVIDIA G-SYNC Technology that promises detailed and smooth visual when combined with 17” 4K UHD Display. G-SYNC is used to synchronize the display at the fresh rate when the GPU is overcolocked so as to avoid stuttering, lags or tearing of the images. 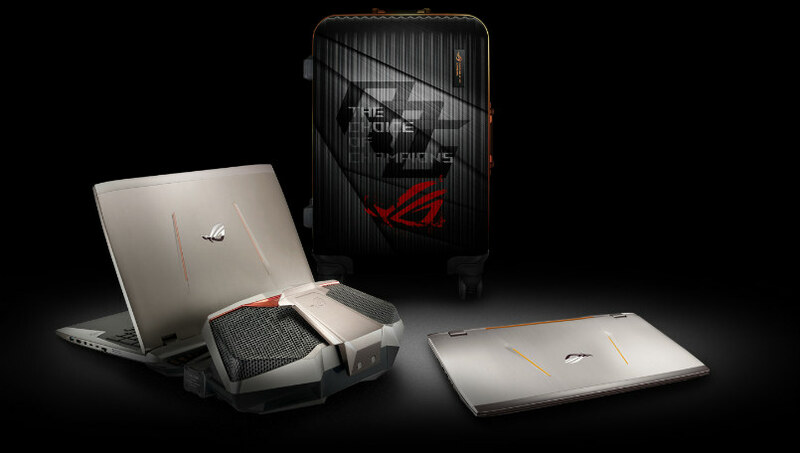 Company has also made a special ROG themed briefcase for this laptop. 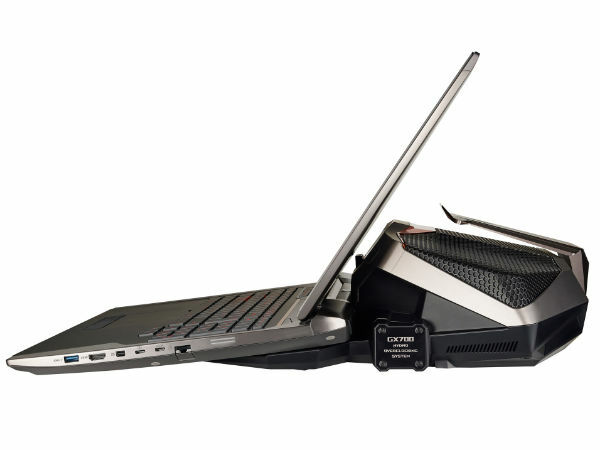 Though liquid cooling technique is the USP of this laptop one can also use the traditional cooling system if they don’t want to use the liquid cooling dock.